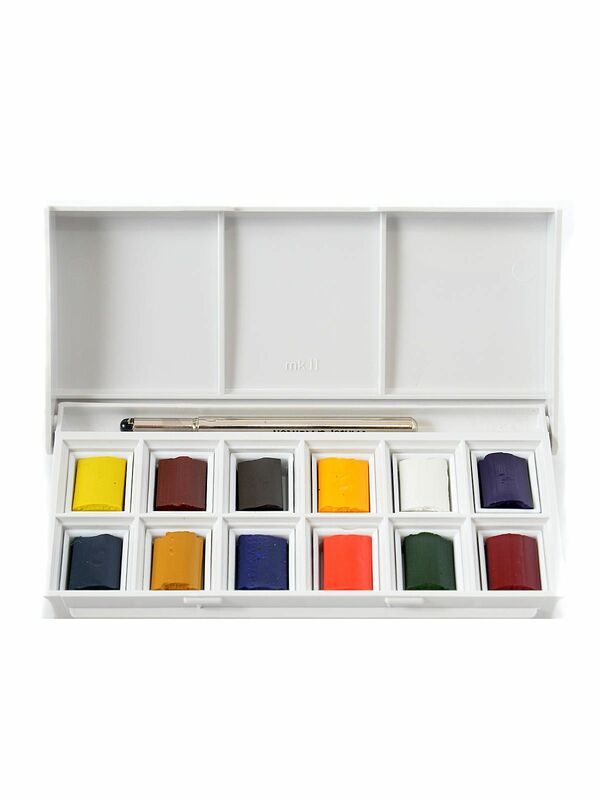 This set contains 12 Water Colour half pans in a plastic box with mixing palette in the lid, pocket brush and colour leaflet. 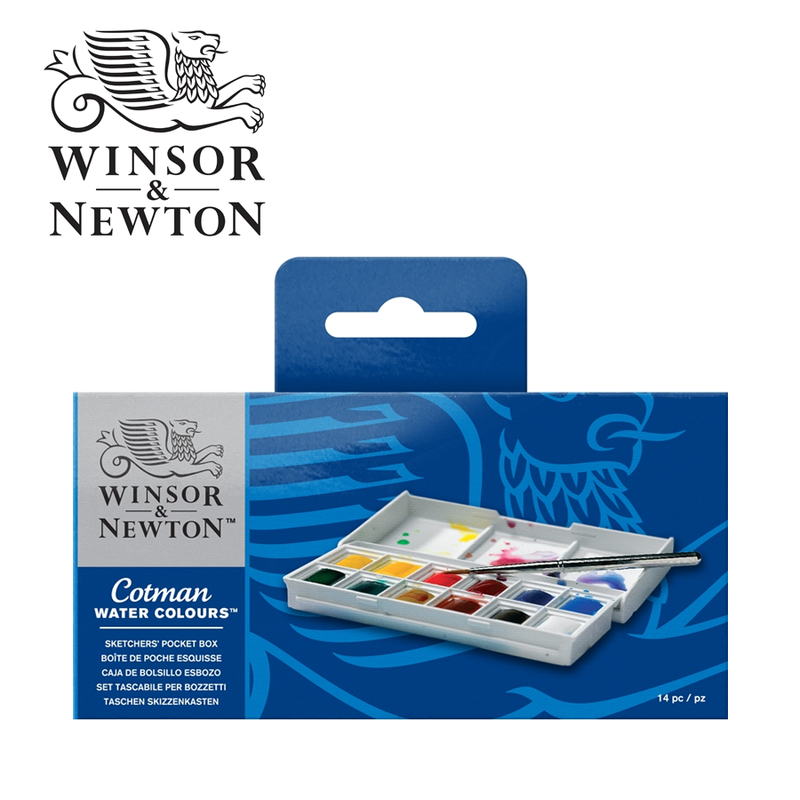 This Cotman Watercolour Sketchers’ Pocket Box comes from Winsor & Newton, the company that created water colour. This not only keeps costs down, but also makes for more consistent performance across the range, which can be of great benefit if you’re new to watercolours. This Cotman Watercolour Sketchers’ Pocket Box contains 12 Water Colour half pans in a plastic box with mixing palette in the lid, pocket brush and colour leaflet.